[Fashion] Dressing in Theme for Guardians of the Galaxy – i swear to goth. 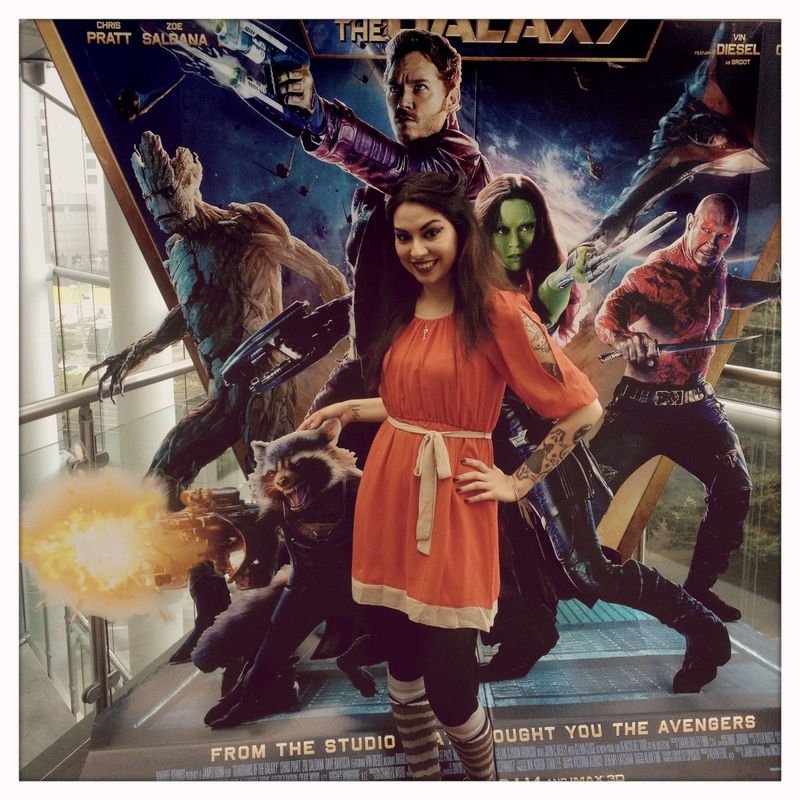 My Rocket inspired outfit I wore to the opening day of Guardians of the Galaxy. I was very excited about seeing Guardians of the Galaxy, but I also didn’t want to make a costume. It’s not an economical project for me. Instead I found an orange dress, some raccoon knee-highs and twisted some of my hair into little ears. I think it came out rather well! And I’d totally wear this again, and not just for a Guardians related event!